As part the Choral at Cadogan series Tenebrae presents a programme of French choral music of penance and praise from the 12th to the 20th centuries. The wide appeal of the a cappella choral writing of French composers such as Poulenc, de Séverac and Messiaen owes as much to their use of austere textures and disciplined techniques as for the refined, Gallic sensuousness which appeals so directly to the heart. The stark, plainly homophonic style of Brumel is the timeless partner of Poulenc’s restrained choral miniatures but the ground-breaking developments in writing by Pérotin are the perfect preparation for Poulenc’s taxing ‘Figure Humaine’ many centuries later, a work which set higher expectations of choral singing than had been envisaged in the choral world. As much as the function of the writing in these programmes is a reflection of the architecture of the buildings it was conceived for, there is a thread which connects the spirit of the music – in the ecclesiastical repertoire it is an essence of understanding of prayer through singing, whether in lamentation or in praise and, in the secular, an expression of mankind’s ability to triumph over the greatest of adversity. 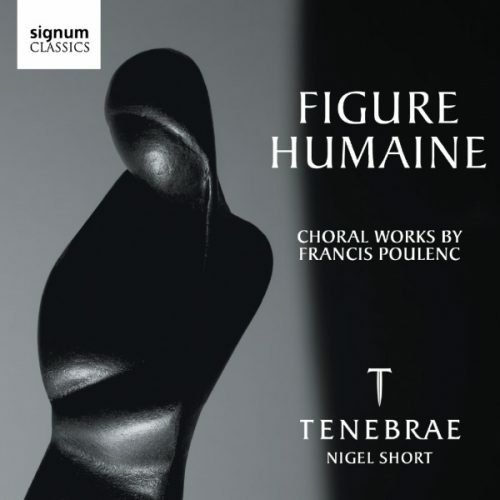 Tenebrae’s “unbeatable” (The Times) recording of Poulenc’s ‘Figure Humaine’ can be purchased here through our online shop.